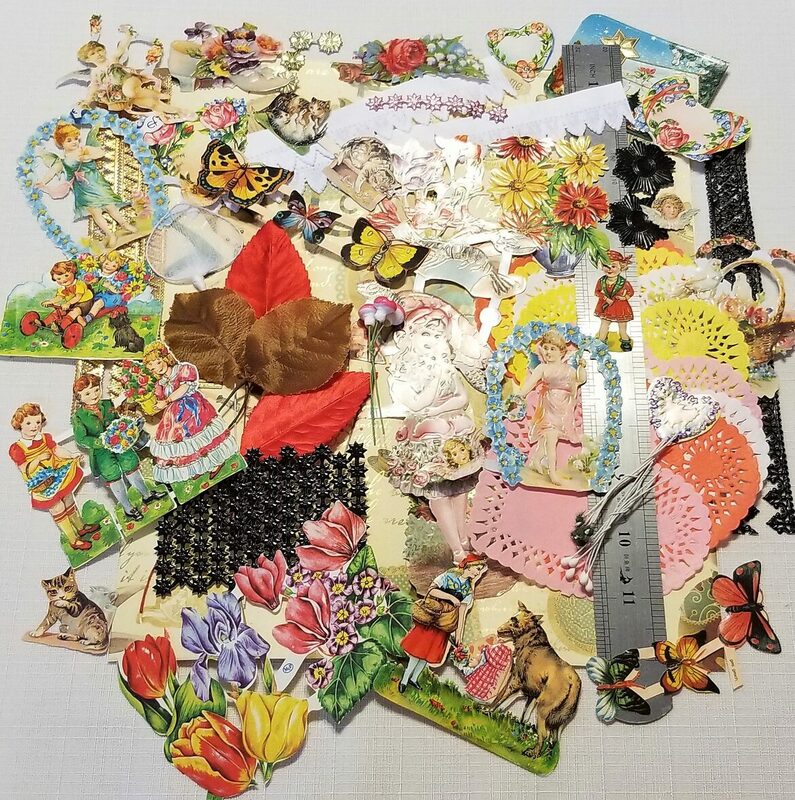 This is a nice, large, assortment of English and German Scrap with metal foil embellishments. 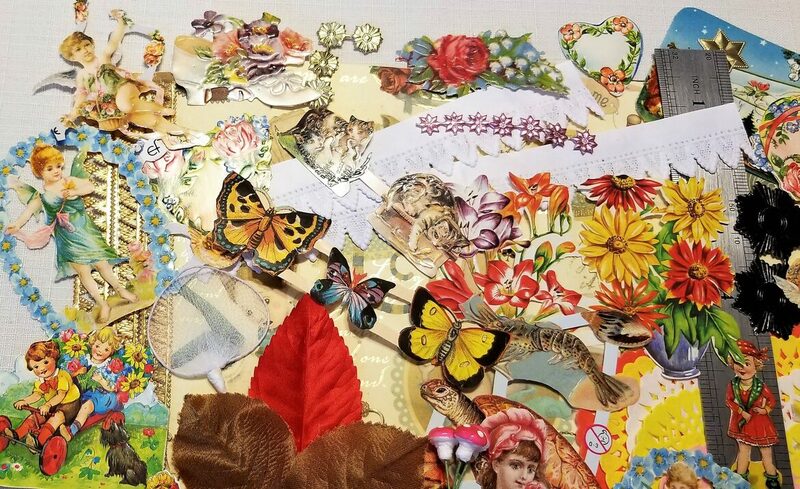 Detail can be seen in the pictures. Remember, I only charge one flat fee of $6.45 for delivery, no matter how many items are ordered at one time. Thank you. 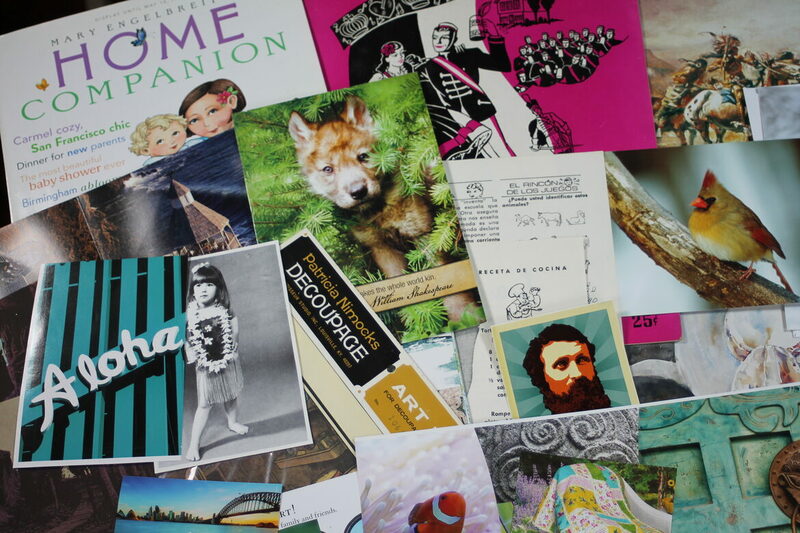 This is a packet of graphics garnered from many sources. 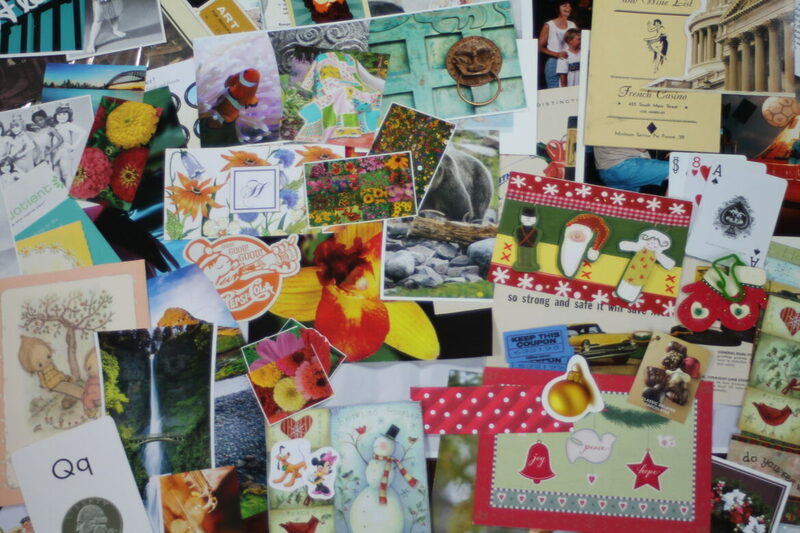 Magazines, greeting cards, papers, books, labels, etc. Some are vintage and some are new. 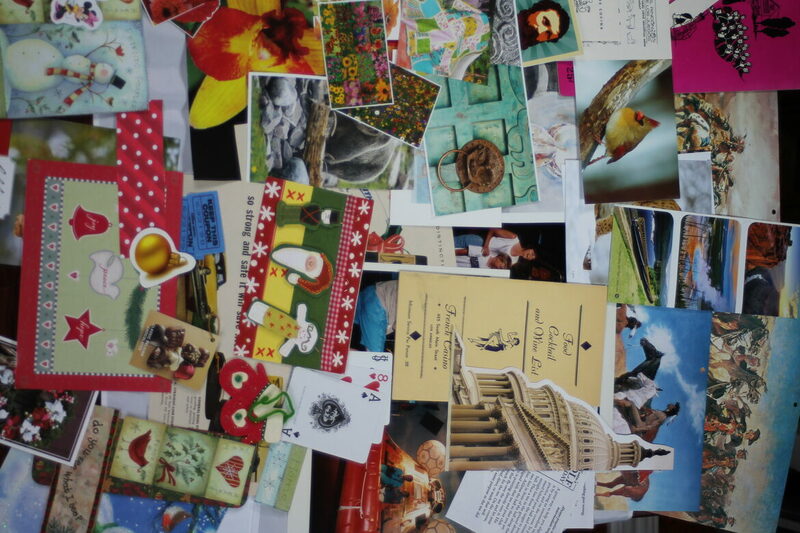 All of these have been carefully cut out, ready to use, for your creative inspiration. 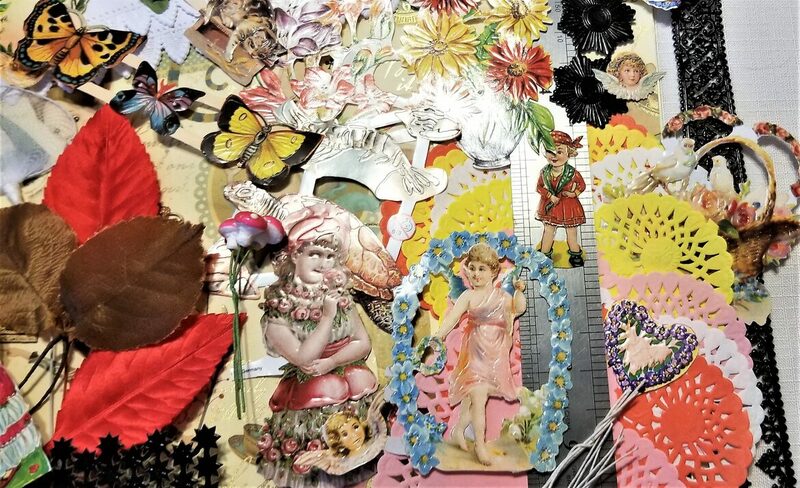 Scrapbooking, altered art, decoupage, shadow boxes- sky's the limit. 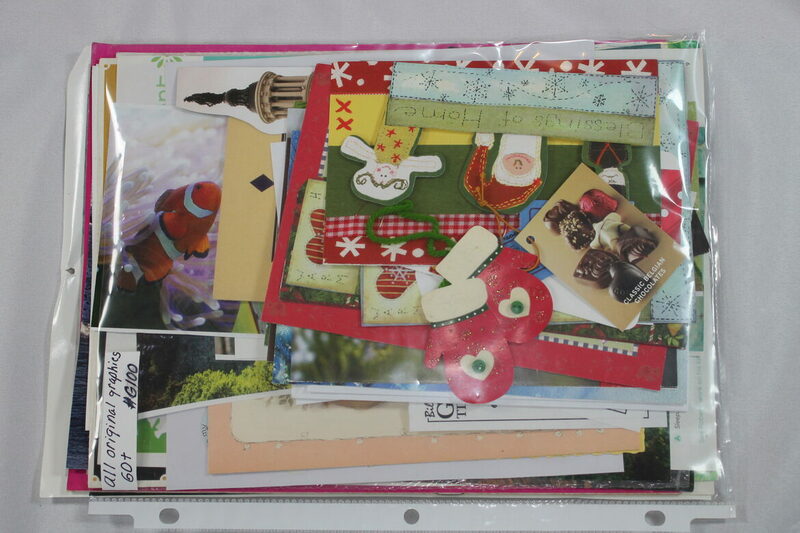 Each packet contains 60 plus images chock full of color and mixed with the black and white, printed word. I hope you enjoy this. I had fun making them. Remember- we have a one flat fee of $6.45 for delivery, no matter how many items are ordered at one time. Thank you.